Unlike curtains, blinds can be fitted either inside or outside the window recess. The blinds can be fixed to the top of the window recess/ the ceiling or the face of the window recess/ the wall. Measure the width and the length. 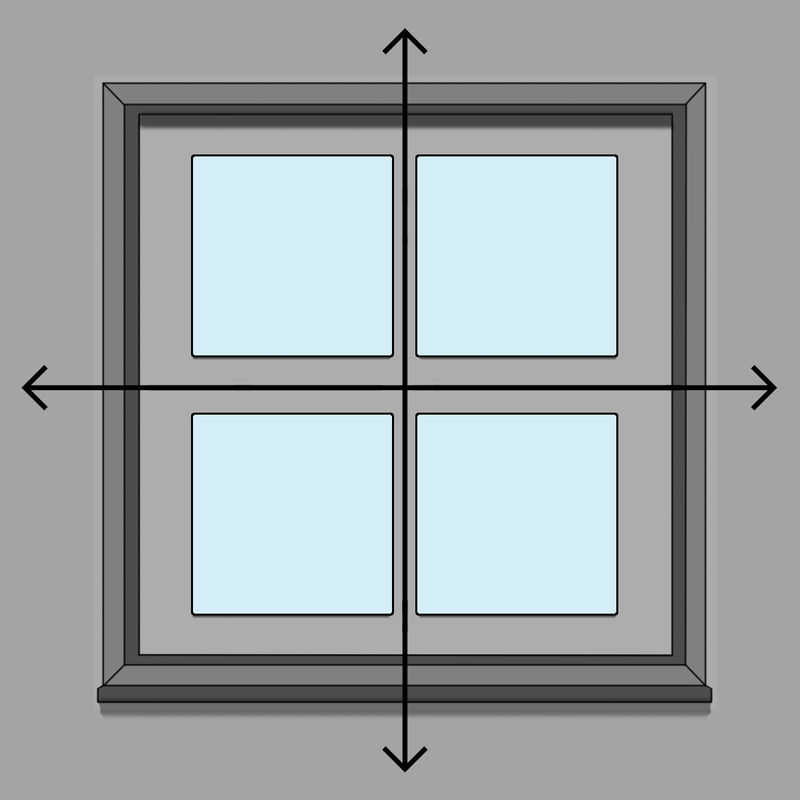 We advise you make a set of measurements down the side of the window jamb, as sometimes windows recesses are not always square. If the measurements differ, select the shortest. We will make a small deduction of about 1cm from the width you have entered to ensure your blind fits perfectly within the recess. 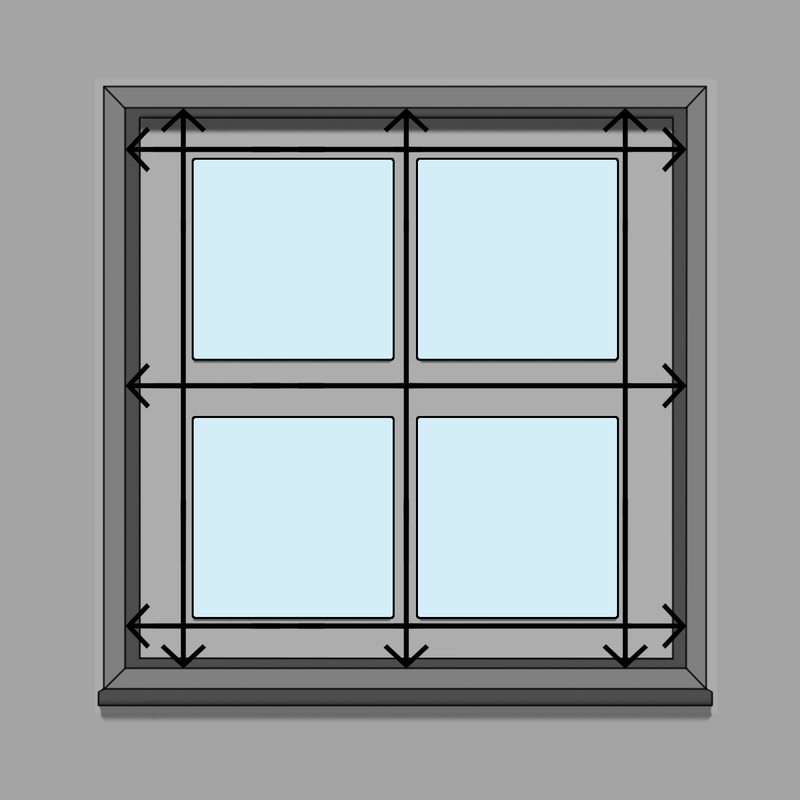 We advise you fit your blinds outside of the window recess if the window opens inwards, if the window is not straight, or if the recess depth is less than 8cm. Measure the width and the length. We advise you to measure your blinds so that they extend 5-10cm either side of the window, as well as above and below the window. 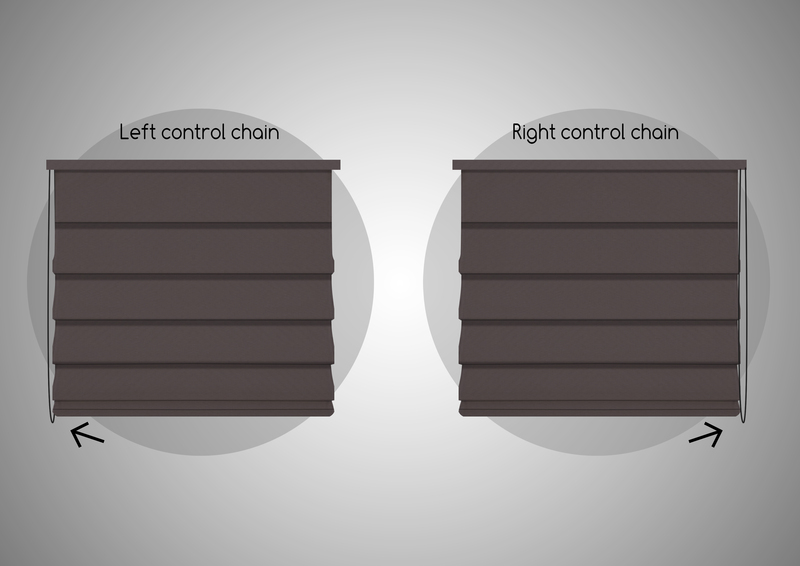 Please tell us whether you would like the control chain on the left or the right of the window.